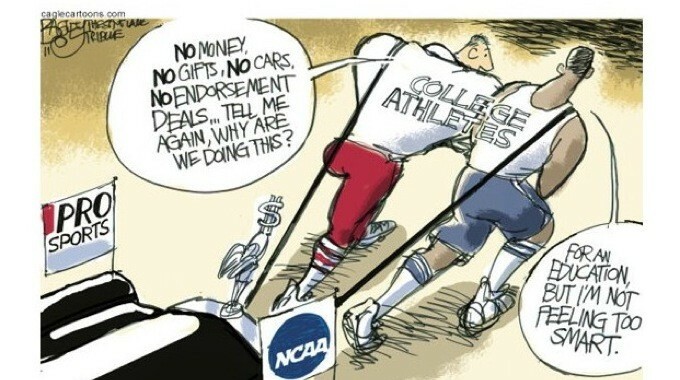 Student Athlete Compensation – Page 2 – Should NCAA athletes receive compensation? Shabazz Napier, MVP, champion, famished? Shabazz Napier is a regular kid from Boston who worked a little harder when he was younger to be a great athlete. His family is not wealthy, in fact they are far from it. In 2014 Shabazz Napier led the University of Connecticut to a National Championship. In 2014, Shabazz Napier was the runner up for player of the year award. In 2014, Shabazz Napier won MVP of the biggest game in any NCAA players career, and in 2014 Shabazz Napier went to bed hungry some nights. The runner up most valuable player of the year and the most valuable player of the national championship game goes to bed starving some nights because he cant afford food every day. Food, one of the most basic necessities of human life.